Anniversaries are something to be treasured. It’s a time to reflect on the wonderful memories you have made with your significant other in the year past and to anticipate the things to come in the future. Spend your anniversary in the very romantic town of St. Augustine! If you need help planning your vacation, you’re in luck. We’ve got the best St. Augustine anniversary ideas right here! We’ve listed some of our favorite St. Augustine anniversary ideas, but there’s so much more to discover! Access our free Vacation Guide for a full list of our favorite things to do in St. Augustine. Countless guests have used our Vacation Guide to plan their stay at Agustin Inn. 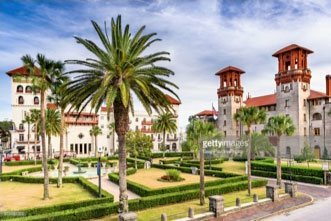 Whether you’re searching for first date ideas in St. Augustine or some classic “St. 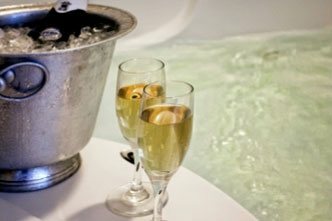 Augustine” couples activities, our Vacation Guide has it all! 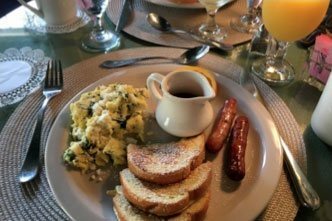 There is an amazing selection of romantic restaurants in St. Augustine located a short walk from Agustin Inn. Just a couple steps outside of our front door is Michael’s Tasting Room. This casually elegant joint boasts Spanish cuisine made with locally sourced ingredients. For a taste of some classic Mediterranean and Latin dishes, head to La Pentola. They have a fantastic selection of some truly delicious seafood. They are less than two blocks from Agustin Inn! Columbia Restaurant is said to be the oldest restaurant in Florida, established over 100 years ago. They serve a mix of classic Cuban and Spanish cuisine. Raintree Restaurant is located further out from our inn, but they offer a complimentary shuttle service to their restaurant. They also offer a fantastic selection of classic Italian dishes. What’s more romantic than watching a sunset while sipping on a glass of wine with the one you love? Enjoy just that very thing with Schooner Freedom Charters. They offer four different trips, though their most popular is the Sunset Sail. This two-hour sale takes place along the Matanzas River during the sunset. This sale is just $44 per person when you book through Agustin Inn. Simply add this attraction to your reservation, and we’ll take care of the rest! 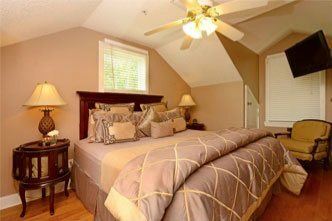 The best St. Augustine anniversary ideas start at the Agustin Inn with one of our wonderful packages. For example, with our Champagne Romance Package, you’ll receive one-dozen red roses, chocolate-covered strawberries, and complimentary champagne. All that, and you won’t have to lift a finger! This package is just $80, plus the room rate. The St. Augustine Romance Package is our most popular one. It includes a private horse and carriage ride from the Inn, a half-dozen assorted rose bouquet, half-dozen chocolate-covered strawberries, and a gift certificate to one of St. Augustine’s signature restaurants! This package is just $269, plus the rate of the room. The Ultimate Romance Package is ideal for any romantic surprise. It features a private horse and carriage ride, a half-dozen chocolate-covered strawberries, complimentary champagne on ice, one-dozen roses, and a flameless candle for the room. This package is just $259, plus the room rate. Are you ready to book? Check our availability and book today! We look forward to having you.